Updated Friday March 1, 2019 by SLL. Opening Day has been rescheduled to Saturday March 9th. The day begins with a team tailgating breakfast and float decorating at 6:00 a.m. (location TBD). All Teams TBall - Majors ride on floats in a parade that ends at Sunrise. The parade will start approx. 7:30am followed by an Opening Day Ceremony until approximately 9:00 a.m. Please make sure to dress the kids in their uniform. It might be cold so have a few layers under the uniform. NO CLEATS on the floats, just sneakers! If you have a game that day bring cleats for the game. There will be NO PARKING AT SUNRISE. Park at the Metro parking lot across the street or find street parking. Some great places to view the parade are in front of Sunrise or anyway on Victory between Canoga and Winnetka. Do not leave valuables in your car such as purses of cameras. 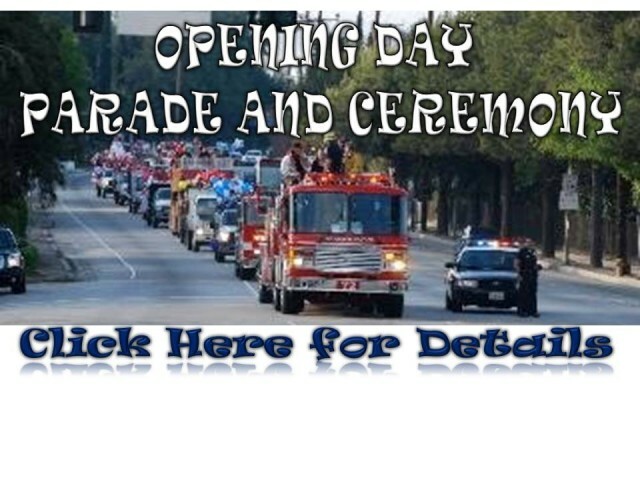 The Opening Day Ceremony will be held at Sunrise Little League on Field 1 immediately following the parade. Bring your camera this is a great photo opportunity. *Original framed Homer Simpson Cel.